What is an Anti-Christ if he’s not capable of invading the original and oldest home of Christ Himself, the Catholic Church?! Of inserting the Anti-Christ’s diabolical self into the role of The Catholic Emperor?! Pope Francis is and always has been a Liberation Theologian from South America. At one point, the Vatican and its College of Cardinals had declared “Liberation Theology” to be unacceptable! Almost, amidst the Vatican City, treasonous. Not any more!! Why? The candy that Mephistopheles has dangled in front of the robed and brightly bedecked princes of the Catholic Church: The New World Order! The only thing this Catholic royalty of Rome must agree to do, in order to reach its eternal ambition of ruling the moral life of the entire human race, is agree to share the power of this New World Order Empire with Islam. Hitler had his own pact with Islam. Anti-Semites of a feather. As I’ve mentioned earlier in this editorial series, in my acting days, I played one. 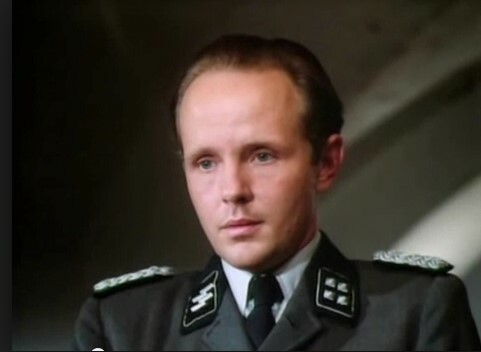 The Nazi pictured above, serving the Anti-Semitic Adolf Hitler? He was Catholic. Were he alive today, his present Pope Francis’ declaration that the Holy Bible and the Koran are the same?! He’d kill Jews with an even clearer conscience, wouldn’t he?! For me, this made Pope Francis The Complete Anti-Christ and we are, therefore, inextricably and immanently about to drown in The End Times. However, having said that, I find myself recalling, as a former resident of Manhattan, over twenty years of life under the increasingly radical weight of the New York Times. A question of true intent! I particularly remember the 80’s theater critic of The New York Times, Mel Gussow, branding my satire of Mel Gussow’s vicious fellow theater critic, John Simon… describing my imaginary encounter with a sadist of Manhattan theater as “malicious” and “malevolent”. toward the United States of America?! This article kind of says that the New York Times, particularly in regard to Barack Obama, is, at least from my experience, Ben Rhodes! 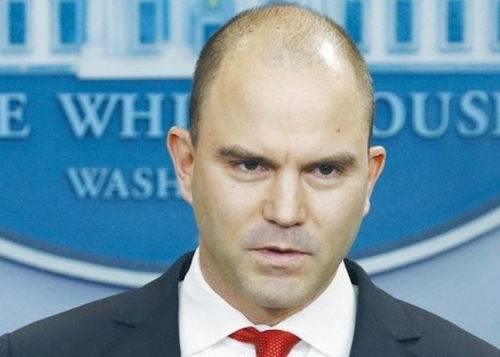 This Ben Rhodes would be, as President Obama’s Deputy National Security Adviser For Strategic Communications – lovely euphemism, strategic communications, for lying – a deputy among many deputies in the White House if it weren’t for this above-cited, New York Times article by David Samuels, May 5, 2016. Only a mere eight months old, this New York Times article, as I have introduced it earlier in this editorial series, is entitled The Aspiring Novelist Who Became Obama’s Foreign-Policy Guru. Its subtitle is even more impressive: How Ben Rhodes rewrote the rules of diplomacy for the digital age. How did I find this particularly simultaneous glimpse of both Ben Rhodes and President Barack Hussein Obama? I mistakenly recalled the Mel Gussow accusation of “malicious”, after over forty years, remembered it as “malevolent”. From an internet search for the word “malevolent” used in context with President Obama, I encounter this profile about a Mr. Ben Rhodes! It is a brief response to the NYT Ben Rhodes article offered the very next day, May 6, 2016, by Richard Fernandez. In the privacy of a jury room, President Obama’s “true intents” – if the Obama, as I have so longed for, is facing a final verdict for his undeniable “crimes and misdemeanors” as President of the United States – these “true intents” would be a decisive factor in determining a sentence for the criminal. Is Obama “malevolent”? Or “malicious”? Or treasonous? Or just plainly “incompetent”?! In this article about “true intent”, the heroic Dietrich Bonhoeffer is summoned up to transform “incompetent” into the much clearer term: “stupidity”. Bonhoeffer, a victim of the Third Reich, assassinated for his efforts at resistance, is quoted as saying, "Stupidity is a more dangerous enemy of the good than malice". That, unfortunately, throws any conversation into the second oldest debate in the history of the human race! The Devil, after millenniums of literature about Evil, both specific and general, is not “incompetent”. And, to my mind, Obama is not “stupid”. How did he possibly gain a second term as President of the United States if he were “stupid”? The Devil is eternally just a small but vitally important step below God and that Almighty Creator of The Devil’s intelligence. In short, the Devil is God’s “morning star”. Let us then move to this New York Times profile of the Obama administration. It is ostensibly about a Mr. Ben Rhodes. The subtext, of course, is President Obama himself. The first moment in the article that draws my attention is Rhodes’ response to the news of 10 American sailors literally captured and held hostage by Iran. “The break in message discipline”?! Hmmm… well, let’s press on. Please, as I continue, meditate upon the phrase “strategic communications”. The inner quotation marks are mine. We’re being told, the long way, that, gee, this is a really, really important guy! He’s obviously so important that I have to begin a fourth article for this series. See you with that next week!